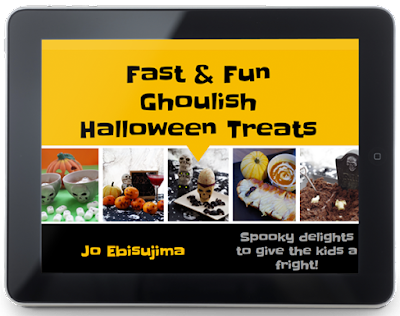 Halloween came early for us this year as we couldn't have the party next weekend, we had great fun and I have a lot to share so I have broken it down into smaller posts. I had a big pile of card egg boxes which were perfect for the job, just needed a bit of personalization first. 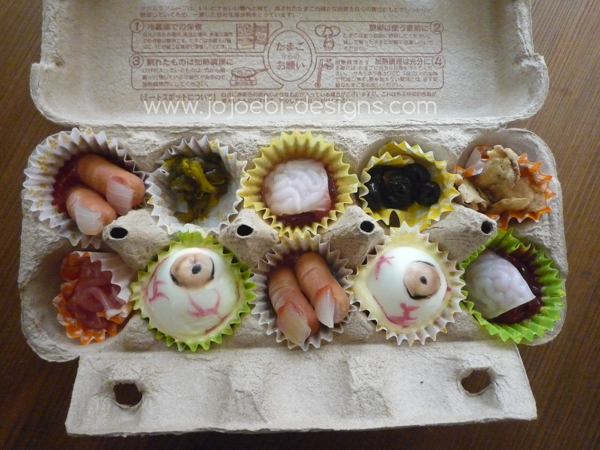 And inside, ohhh how yummy.... We have zombie toenails, giant cockroach eggs, severed fingers, freshly picked eyeballs, flayed skin, poached brains with fresh flesh and witches warts. Delicious no? 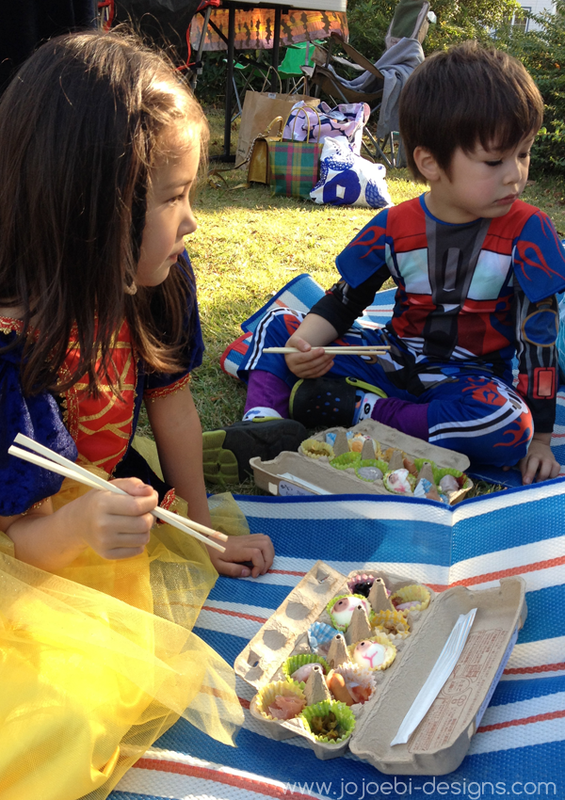 Some of the kids demolished the lot, Ebi-kun asked for a second bento! The darling Disney princess wouldn't eat anything until I told her what it really was, then she was perfectly happen to munch on delicate fingers! I think in this picture they were letting one of the older kids sample some of the delicacies first! 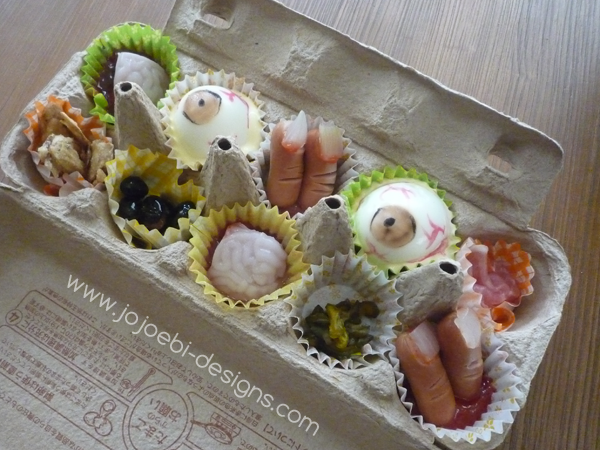 Using the egg cartons turned out to be a great idea - easy to transport and no washing up! If you liked this post feel free to pin it or share it or both!